Satisfy guests’ late-night cravings with tasty treats from area caterers and food trucks. 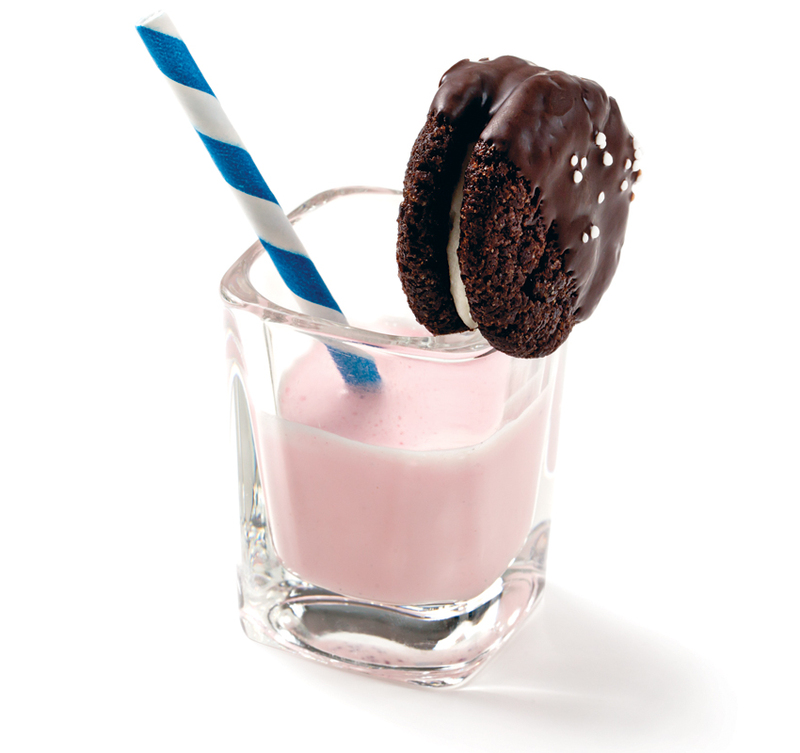 Chocolate-dipped “Oreo” with a strawberry shake shooter, price upon request, Capers Catering. Mini ice cream cones with sprinkles, price upon request, Capers Catering. 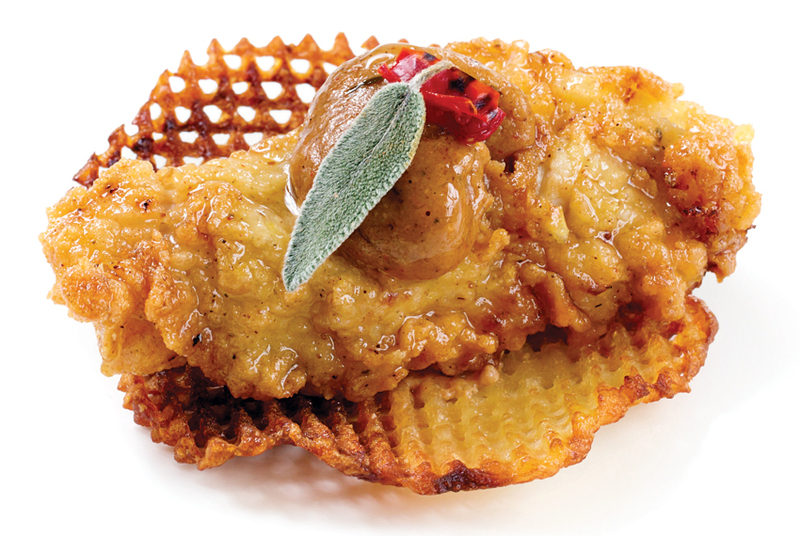 Mini buttermilk-fried chicken bite with Cajun-spiced gravy and a waffle crisp, $3.50, Tables of Content Catering. 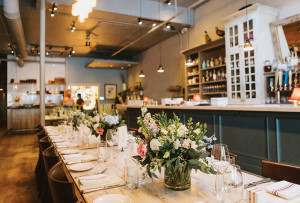 Mini grilled lamb kebab with yogurt tzatziki, $5.50, Cuisine En Locale. 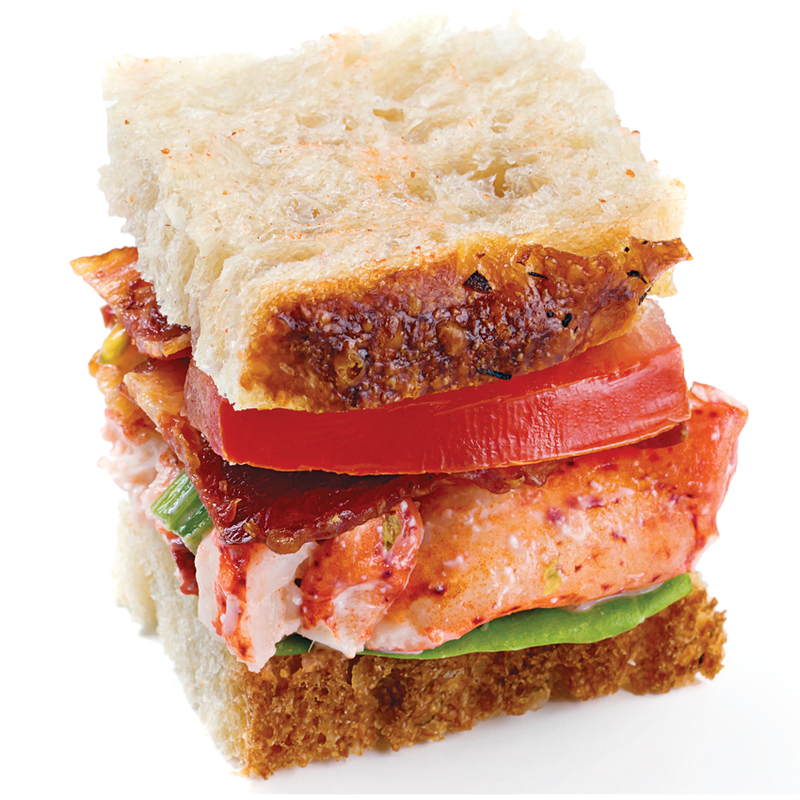 Mini lobster BLT on focaccia, market price, Season to Taste Catering. 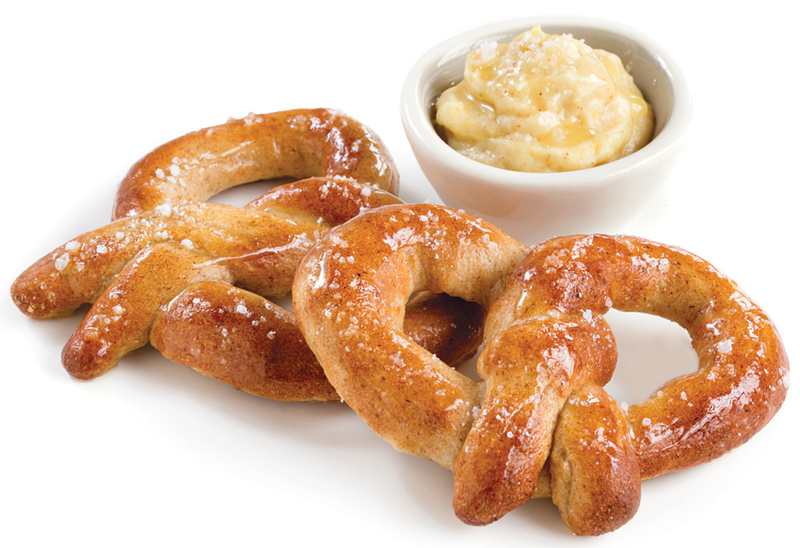 Mini buttered pretzels with beer-cheddar fondue, $3.75 each, Cuisine En Locale. 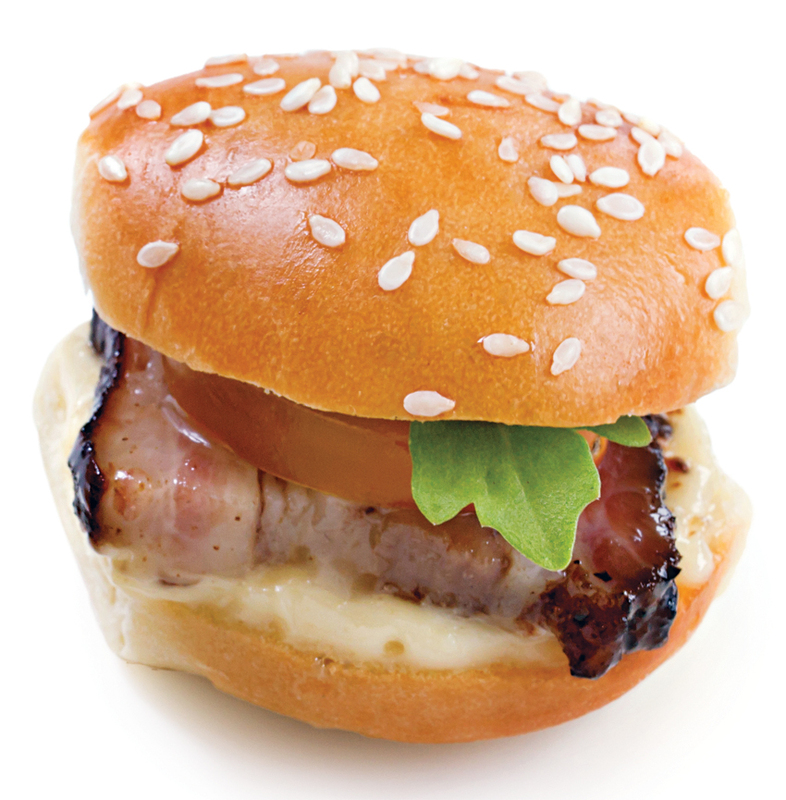 Smoked-pork-belly slider with arugula, cherry tomatoes, and roasted-shallot mayo, $3.50, Forklift Catering. 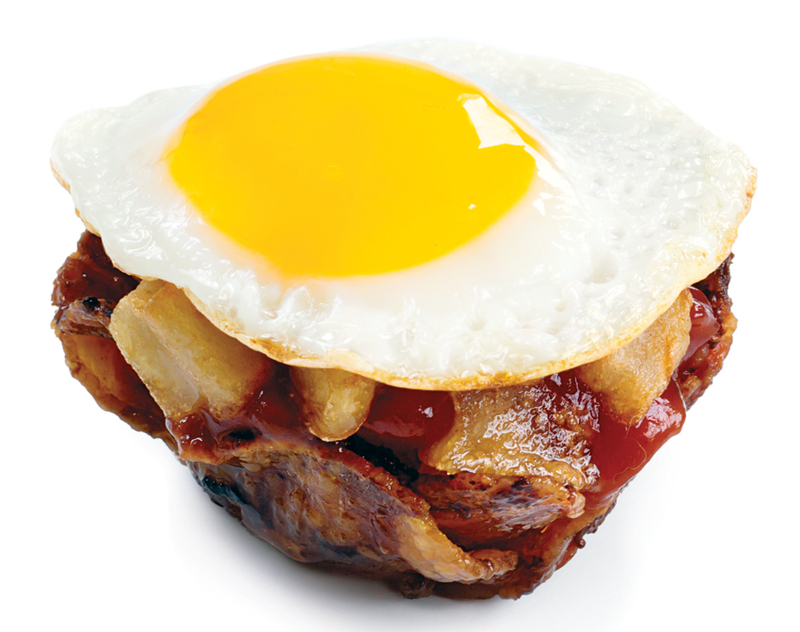 Bacon cup with home fries and a sunny-side-up quail egg, price upon request, Capers Catering. 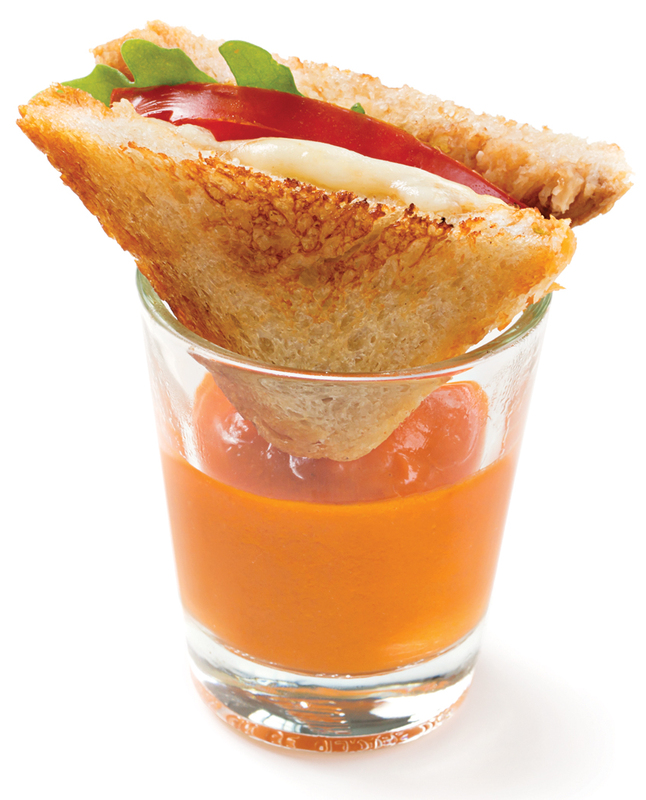 “Kinda-Caprese” grilled mozzarella-and-tomato sandwich with arugula, basil jam, and balsamic vinegar and a tomato-soup shot, $3, Roxy’s Grilled Cheese. 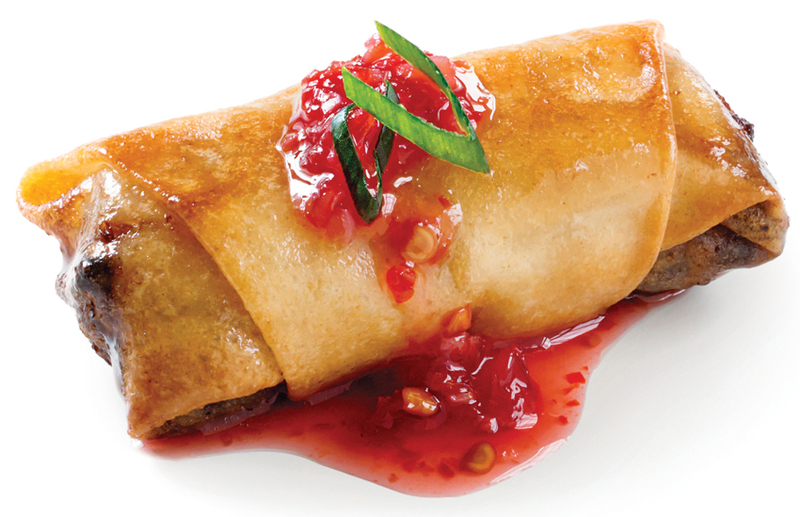 Pig’s-head spring roll with cranberry-chili sauce, $2.25, Mei Mei Street Kitchen. 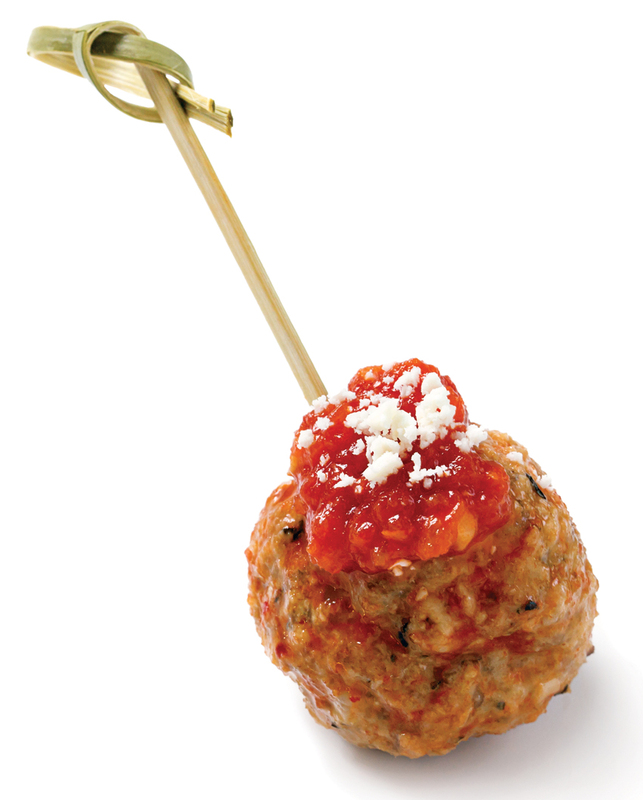 Chipotle meatball with salsa rojo and cotija cheese, $3, Forklift Catering.